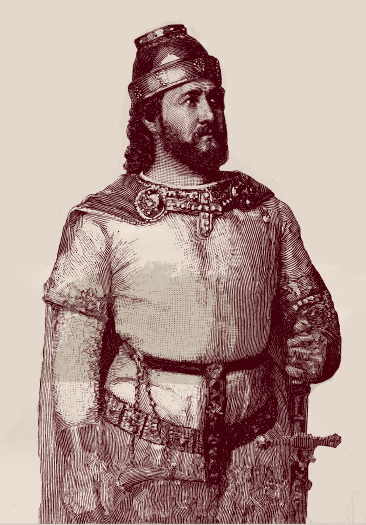 MADOC (Madog ab Owain Gwynedd), possibly a younger son of Owain the Great, king of Gwynedd in North Wales or perhaps a member of his bodyguard, credited in the 16th century with making the first voyage to America; fl. 1170. Mediaeval Welsh poets told how he left his home in the midst of family dissensions and went to sea. Meredudd ap Rhys (fl. 1450–85) compared his own life with that of Madoc who “sought nor flocks nor herds save in the vasty deep,” but no mediaeval claim that he found lands to the west has so far been discovered. Nonetheless, in the 16th century, discussions of the new discoveries led to popular tales that Madoc had preceded Columbus. Dr. John Dee (1527–1608) first gave this academic currency when in 1578 he claimed that about 1170 Madoc “led a Colonie and inhabited in Terra Florida” (Williamson, Cabot voyages (1962), 201). Sir George Peckham’s tract (1583) on Sir Humphrey Gilbert (Voyages of Gilbert (Quinn), II, 159–60) claimed that Madoc had returned with news of his discoveries. The story of two voyages, the second establishing a colony, was fathered on Humphrey Llwyd (1527–68) by David Powel (1522?–96) whose The Historie of Cambria (London, 1584) became the classic source for the story. Modern scholarship attributes its elaboration to Powel’s own invention, possibly aided by his association with the Rev. Richard Hakluyt, who adopted the story in the same year as Powel printed it ([Hakluyt], Original writings (Taylor), II, 290). Sir Thomas Herbert, in A relation of some yeares travaile (London, 1634), 217–24, included “A discourse and proofe that Madoc ap Owen-Gwynedd first found out that Continent now call’d America,” giving details of the colony planted on “the Gulph of Mexico” to which he had brought ten shiploads of colonists and supplies on his second voyage. Welsh scholars have found no evidence that these stories are anything but inventions. The story was of value to the Elizabethans as it gave them a polemical argument to use against Spanish claims to America, since Elizabeth I could be put forward as the heir to the Welsh princes. Alleged Christian practices in America before the Spaniards arrived, and the supposition that North-American Indians spoke Welsh, seemed to offer some support for it. The story appears in Hakluyt’s Principall navigations (1589), Principal navigations (1598–1600), III, and in Purchas’ Pilgrimes (1625); but as early as 1599, George Abbot, in A briefe description of the whole worlde . . . (London, 1599), could say, “we have no invincible certainty hereof.” This book went through nine editions between 1599 and 1636. The legend, indeed, rapidly faded out of English history. It flourished in Wales where it was a badge of cultural nationalism, and got a new lease of life at the hands of Theophilus Evans, in his Drych y Prif Oesoedd (Shrewsbury, 1716). The investigation and demolition of the Madoc story was done by Thomas Stephens in 1858, but it was not until his Madoc: an essay on the discovery of America by Madoc ap Owen Gwynedd in the twelfth century, ed. Llywarch Reynolds (London and New York, 1893) appeared that almost all serious students dropped the belief that the Madoc story rested in credible mediaeval evidence. Besides the works mentioned in the text, The dictionary of Welsh biography down to 1940, ed. J. E. Lloyd and R. T. Jenkins (London, 1959) is useful. Zeila Armstrong, Who discovered America? The amazing story of Madoc (Chattanooga, Tenn., 1950) and B. F. Bowen, America discovered by the Welsh in 1170 (Philadelphia, 1876) are examples of continued belief in the legend. Geoffrey Ashe, Land to the west (London, 1962), maintains an entertaining scepticism. David Williams, Cymru ac America: Wales and America (Cardiff, 1946), is hostile. David B. Quinn, “MADOC,” in Dictionary of Canadian Biography, vol. 1, University of Toronto/Université Laval, 2003–, accessed April 22, 2019, http://www.biographi.ca/en/bio/madoc_1E.html.